Price depends upon a number of factors, the major one being geography. Although we are based in south Manchester we perform nationwide but travel time and expenses obviously have to be reflected in the overall price. 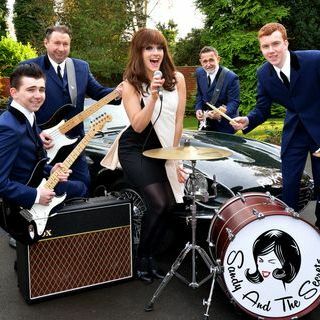 Sandy and The Secrets are a professional sixties cover band playing all the big hits you know and love. From early Beatles to the sound of Cliff and The Shadows, we deliver an authentic sixties experience whatever your event. Blending high quality musicianship with modern technology, we faithfully reproduce the best tracks of the decade and we pride ourselves on getting everyone, from the young to the only slightly older, to dust off their moves and twist the night away. Your event is our priority and our first class service ensures every detail is covered, providing you with a hassle-free experience, from prompt replies to your calls and emails to liaising with your production manager or event organiser. However you want your event to roll, we’re here to make it happen. Fab band, authentic sound and full of energy but someone please teach the kids on the dance floor how to twist! Have now seen the band twice and we are going to see again in a few weeks. Very much enjoyed their performance. A good mix of songs and a fun night. A great night, all the classics played with a very authentic sound and fantastic to dance to. A brilliant evening of great entertainment. I have been into music and dancing all my life and this band ticks all the boxes. Even if 60's music isn't your thing, I'm sure you will be impressed by the sounds and the moves from the band. We normally take 2 short breaks that each last approximately 30 minutes. During these breaks we provide classic 60s interval music through the PA system. Given enough notice the majority of 60s tunes can be played. We are, however, a fully live band (with an aversion to backing tracks) so this needs to be taken into consideration. Ideally 5m x 2.5m but we've played on smaller! All types of events from corporate to weddings/special birthdays and everything in between. Every event is special. We consider the ''highlights'' of our career being ever occasion on which our audience have had a great time. 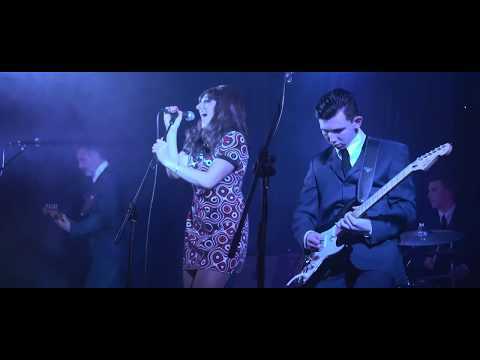 A highly professional and polished 60s band who are guaranteed to rekindle memories and make the event!